Director's Office | Ali Yavar Jung National Institute of Speech and Hearing Disabilities (Divyangjan), Mumbai. 1 Dr. Suni M. Mathew Director M.Sc. (Physics), B.Ed (Physical Science), M.Ed (HI), PhD (Edu) 23 Years Special inclusive education, Educational Evaluation, Research in Educatoin Alled areas, Subject Teaching. 1 Smt. Ashwini J. Patkar P.A. to D.D.A. 2 Smt. 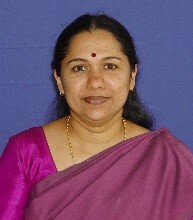 Seema S. Mahadik L.D.C. 3 Smt. Bharati B. Surve L.D.C. 4 Shri Anant R. Padave L.D.C.